as the object i have an issue with this box of overheating. My normal range is single coil about 25/30 watts in ss316 or kanthal and .35/.40 ohms. 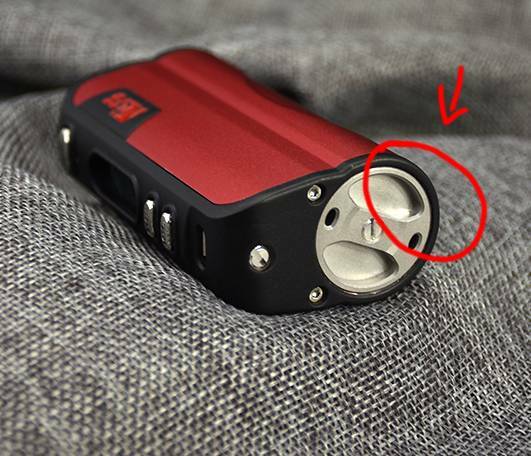 I try to change new battery (18650 sony , lg ,samsung ) ,some atomizer (griffin , zephyrus , kanger) , loosen the cap , unscrew the contract screw , loosen tighten the catode screw, firmware updated to last for DNA75,but nothing change , after 8/10 puffs the box became very hot especially in the zone indicated in attach file.Unfortunately i haven' t a 26650 battery to try. P.s.Sorry for my poor english. Heating in that area seems to say there is a connectivity issue. Is the battery hot if you immediately pull it out? The case/battery cap is the ground path... The design of the cap makes the contact screw the only connection point at the battery if the screw causes the battery to not contact the cap, but just the screw. yes the battery is hot. Thank you for replies , I also thought it was a similar problem. I try to contanct Hcigar for solve the problem. Howdy, I have the VT75 as well and had a similar issue with overheating- here's how I fixed it. I cleaned the threads on the battery cover with alcohol. Black gunk is building up during regular use on the threads and -just like a mech mod- it starts to overheat when it's dirty. I've been cleaning the threads every other time I change the battery and I haven't had any heat problems since. I'd guess you are, but always use the sleeve that centers the 18650 battery in the battery tube. thank for response , i try your metod Spammy1982 seem that the problem is solved , now try in next day for update. Just wanted to second spammy1982's suggestion to clean the battery cap threads. My vt75 was overheating in exactly the same spot and although there was no obvious soiling of the battery cap threads, cleaning them with alcohol did the trick. Tnx to all the trick has worked , no more problem after cleaning. P.s. :I wrote some email to Hcigar for my problem but nerver response me.